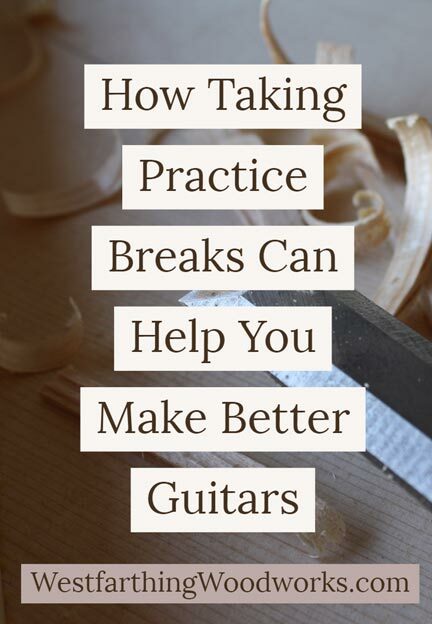 This is How Taking a Practice Break Can Help You Make Better Guitars. In the beginning, there are a lot of unfamiliar things about guitar making. One way to be more confident in your building is to take practice breaks when you need them. 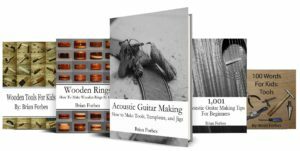 As a new guitar maker, you are filled with lots of ideas, tons of enthusiasm, and unfortunately ton of things that you don’t know. 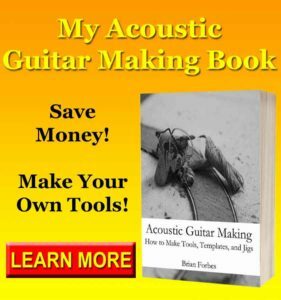 This is a good opportunity to practice if you think about it the right way, and it will make you a better guitar maker. 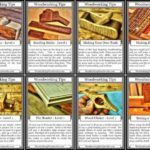 During the course of the build, there are going to be things that come up that you are unfamiliar with. When this happens, take it as a sign that you need to practice. Stop that you are doing, and practice the part that you are worried about. If you make it a point to do this a lot in the beginning, you will progress faster. You will also progress with less mistakes, because you will already have made them in practice. 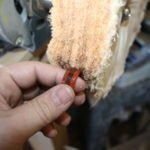 This is the best place to get them out of your way, and it saves money on ruined materials too. If you are unsure about something, and you don’t know the process fully, then stop and practice enforce you move forward. This is a great way to avid mistakes, and it can mean a smoother build overall. Most mistakes are a product of rushing. When you rush, and make decisions quickly, you tend to make bad decisions. Instead of making a mistake because you are unsure about something, just do a little practice and then you can go back to the actual project. Once you have the skill and the knowledge, go to your project and apply it. Now that you have practiced a little more, you are more capable, and will make less mistakes. Over time, these little practice sessions will add up, and you will be an even better guitar maker. 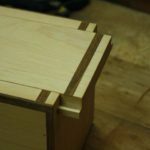 Do a practice run with your joints before you apply glue. 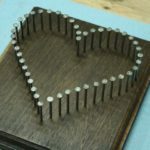 This is a common practice in woodworking, and is known as doing a dry run. The benefit is in finding out there is a problem before it’s covered in glue. It’s much easier to fix a problem that is also not a glue covered problem. The last thing you want to have happen is you get into a glue up and you run out of clamps, need to take the boards apart, or have to fix the joint. When one of these things happen, it can mean taking apart the project and cleaning up all the glue. This is a long process most of the time, and it takes away from your build. Instead, do a practice run without glue, and make sure everything goes together well. Mistakes are going to happen, and you have a choice of making them on your practice piece or on your project. 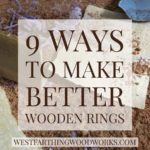 It’s a simple choice on paper, but many times woodworkers and guitar makers cannot bring themselves to just practice more. A mistake on a practice piece is consequence free. When you ruin a board, carve too deeply, or cut too short, you only ruin the practice board. Thankfully, the practice board is easy to replace, and will not cost you your entire project. It’s a huge confidence builder to work with something that is free of consequences. It will make you try more, and relive the stress. When you work without stress, you tend to do better, which is the point of practicing in the first place. Your homework is to practice more. It’s important to practice for the sake of practice, and not only when you are making something. Making things is definitely a form of practice, but it is not as pure as practice simply for the sake of practice. When you actually practice just to improve a skill, and not to build something, you give yourself a safe place to try new things. Your practice environment does not have any of the pressures or consequences that the real environment does. Over time, you will really enjoy practicing, and you will end up advancing your skills faster than just relying on experience with projects to teach you. The process will be a lot easier, more fun, and less stressful too. A guitar will offer you a lot of challenges, and will also offer you a lot of opportunities for practice. There are a number of good reasons to practice more, and they all will lead to a better guitar in the end. When you are about to make a mistake, you should stop and practice. When you are about to rush through something you don’t know, stop and practice. These pure practice sessions will make you a better guitar maker. The reason you will be better is because you will be able to complete the steps with more confidence than without the practice. The time will return itself in fewer mistakes, and overall the build will be better for it. If you have any questions about How Taking Practice Breaks Can Help You Make Better Guitars, please leave a comment and I will be glad to answer them. Happy building.